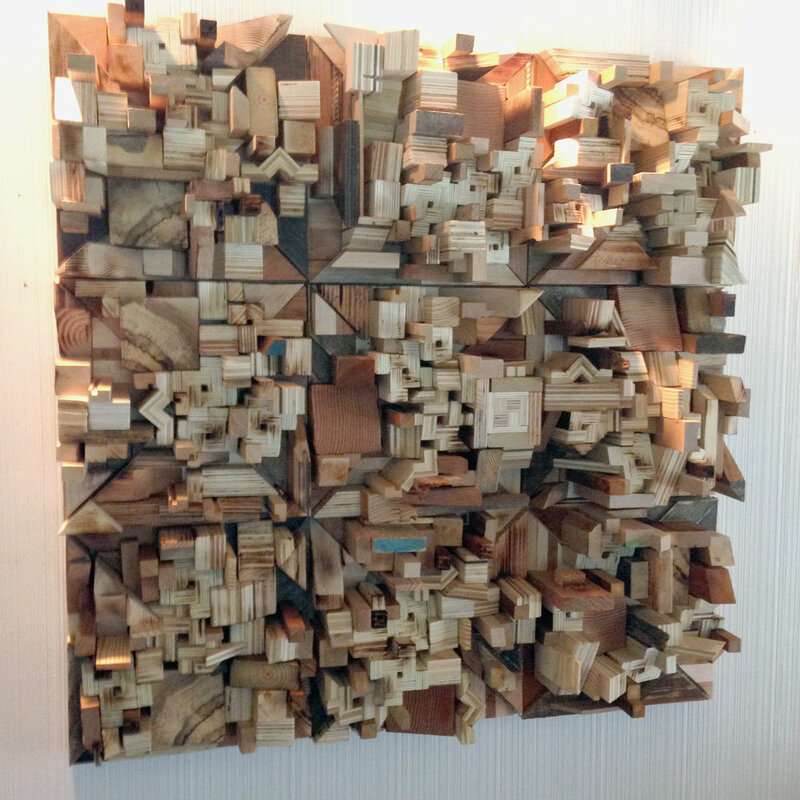 Diffuser City offers original one-of-a-kind sound diffuser panels made from reclaimed wood. The company was formed in 2011 by Artist/Musician Adriaan Mol. 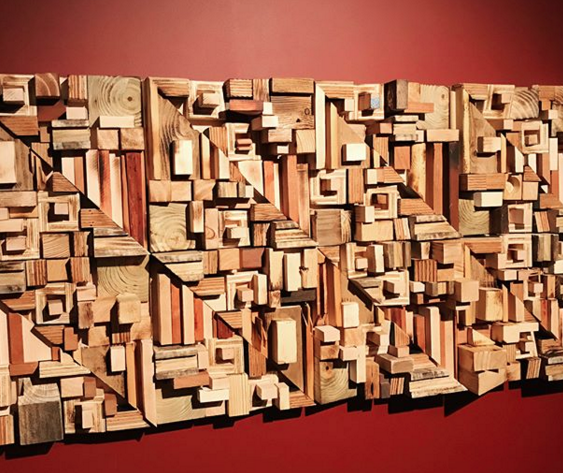 It continues to be a place that combines his interests in woodworking, audio, and art. The Concord measures in at 24" x 24" x approx 4". It includes an additional odd (and deliberatly) out of square Oak trimmed frame. QRD and MLS live together in harmony within. The 500 Series is back!. 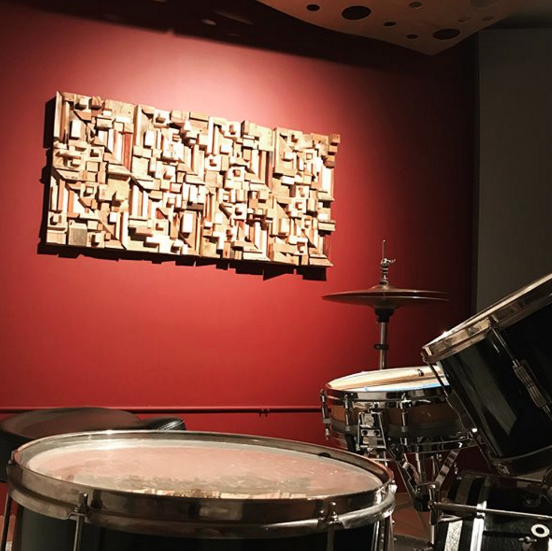 The 502.4 is made up of four 18" x 18" mixed media panels made from picture frames and wood. This layout (in pic 1) square shaped. However, they can be arranged in a linear fashion as well. Also, more panels can be made to fill a larger area if need be. Just get in touch. The 500 Series is back!. 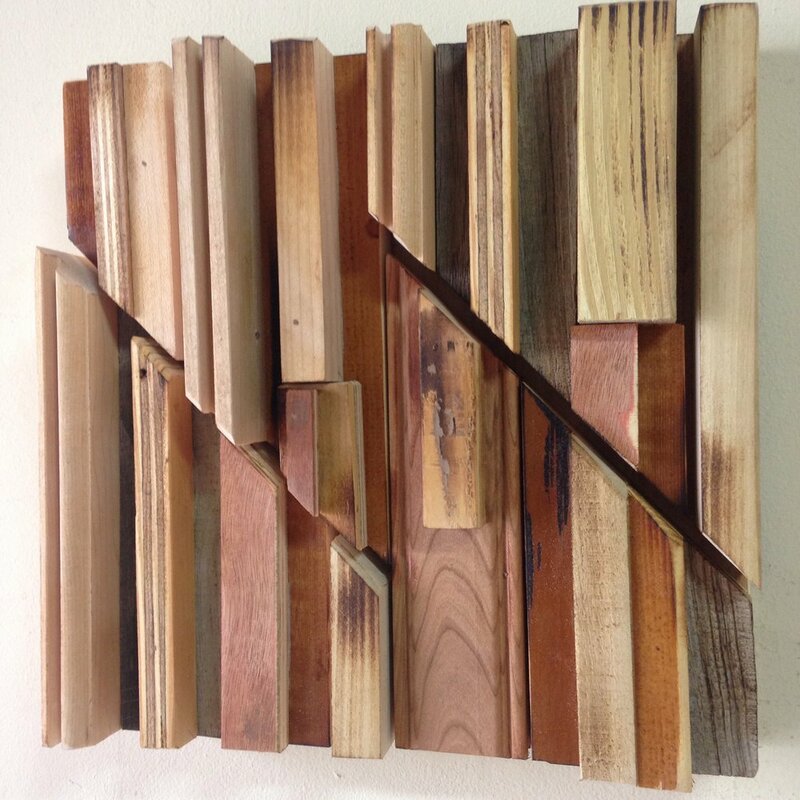 The 501.4 is made up of four 18" x 18" mixed media panels made from picture frames and wood. This layout (in pic 1) square shaped. However, they can be arranged in a linear fashion as well. Also, more panels can be made to fill a larger area if need be. Just get in touch. Looking for the special something? How about The Fortuna? It's a uniquely shaped slatted art piece measuring in at a mere 16" x 24". It would go well with other textured art and/or fabrics. This guy measures in at approx 26" x 26". It can hang either as a square shape or a diamond. The Knoxville is basically a 24" x 24" framed Ashville four pack. So we'll call it a "close cousin". Item has a clear coat. The ALT is one-of-a-kind. It has lots of knobs and chunks surrounding a multi-layed centerp piece. Lots of Folk-Art quilt activity on this one. It includes an off kilter Oak trimmed frame that is delibratlly slighly out o square. Why? Folk-Art is FUN! We all know both Melbourne, Australia and Melbourne, FL are really interesting cities. So why not pay homage to them in square form? With a multi-layers to boot. Item is unpainted but has a clear coat finish. Behold the Unpainted Toronto (AKA YYZ). A 1' x 3' version of the 12" x 12" Unpainted Willowdale and an altered Berlin. Various heights and thicknesses provide and MLS type design with a crosshatched folk-art feel. Want to save some time hanging panels? Then consider the Unpainted Gainesville. Named in honor of Tom Petty and Mudcrutch. (as well as No Idea Records). The Gainesville measure a whopping 18" x 18" x approx 2 1/2". It can hang either as a square or a diamond. Just let DC know what you would like it to be before it ships. Weight is about 9lbs. This would be great for a bar or restaurant with a rustic decor.